La Joya Palmview's Brianna Robles runs the girls 3200-meter at the Class 6A Region IV Track and Field Meet Friday April 27, 2018 at Alamo Stadium in San Antonio. Robles finished first with a time of 10:51.99. After a year of battling each other on courses across the state, the Valley’s best distance runners are again going head-to-head in the races to be named Boys Cross Country Athlete of the Year and Girls Cross Country Athlete of the Year. The winners will be announced at the 2018 All-Valley Sports Awards Banquet on June 10 at Mario’s Banquet & Conference Center in Mission. PSJA Memorial's Cruz Gomez celebrates after winning the boys 3200-meter run at the Class 6A Region IV Track and Field Meet Friday April 27, 2018 at Alamo Stadium in San Antonio. Gomez had a time of 9:15.12. 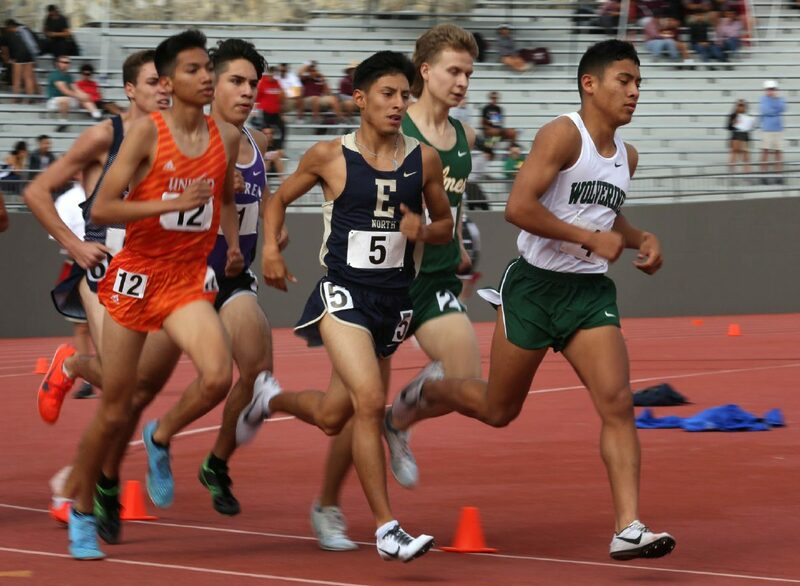 PSJA Memorial's Cruz Gomez, right, and Edinburg North's Tristan Pena, center, compete in the boys 3200-meter run at the Class 6A Region IV Track and Field Meet Friday April 27, 2018 at Alamo Stadium in San Antonio. >>Cruz Gomez, PSJA Memorial: Cruz Gomez followed up a stellar sophomore season with another strong year on the course. The Wolverines runner finished second at the District 31-6A meet but grew quicker as time went on. 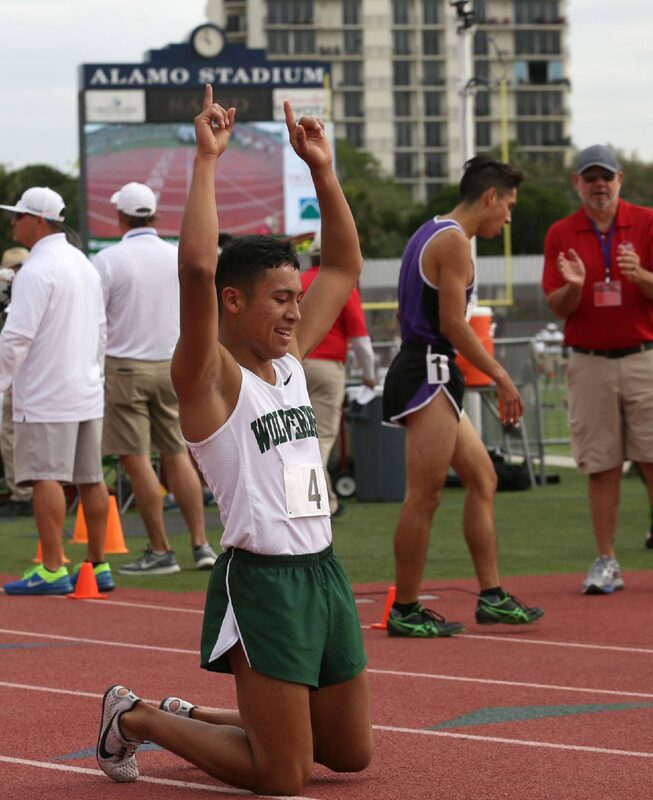 His best run of the season came at the UIL state meet, which he finished with a personal record time of 15 minutes, 13.6 seconds to earn fifth place. 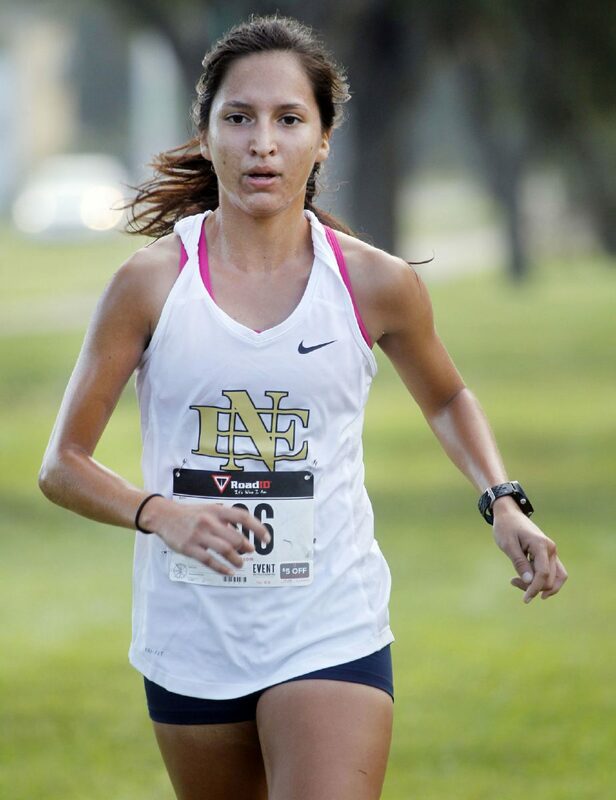 Gomez went on to run the Nike Cross South regional and qualified for the national race last December in Oregon. >>Brandon Gracia, Rio Grande City: Gracia repeated as District 31-5A champion, running his personal best of 15:16.10 in Laredo. He kept the strong season going to state, earning seventh place running a 15:32.3. He also signed to run for the Longhorns at the University of Texas. >>Tristan Peña, Edinburg North: Peña knew he’d need to be quick to stave off a talented runner in his own district. The Cougars senior edged out PSJA Memorial’s Gomez for first place at the District 31-6A meet with a time off 15:54.6 to win his second district gold in three seasons. Peña will move on to college running at The University of the Incarnate Word. 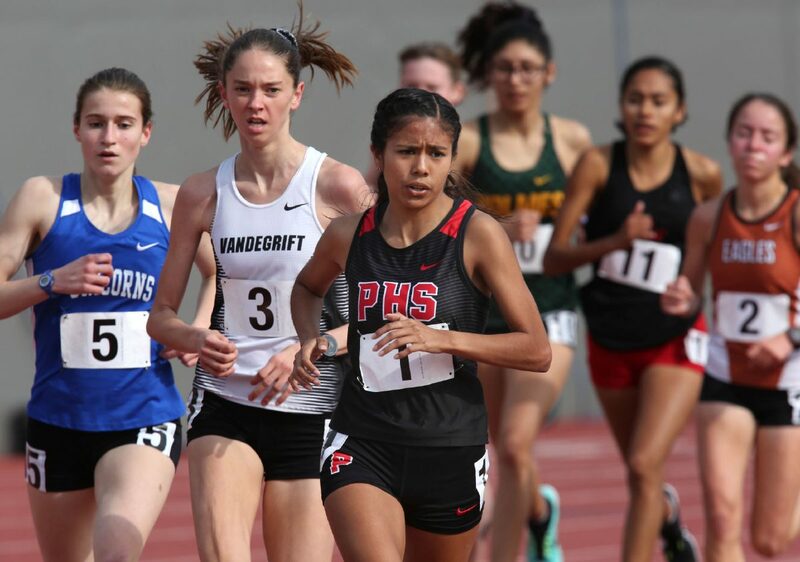 >> Kristen Aleman, Santa Maria: This talented sophomore followed up a phenomenal freshman season by winning the District 32-2A meet to qualify for the Region IV-2A meet, where she placed fifth with a time of 12:30.40 to advance to the UIL Class 2A state meet for the second year in a row. At state, Aleman was rock solid and took home the bronze medal with a time of 12:11.43, just seconds behind second-place finisher Sidney Tucker of Seymour. >>Lizbett Rivera, Progreso: Lizbett Rivera finished ninth in the elite division at the RGVCCCA Meet of Champions. She was the top 4A finisher in a competitive race. The Progreso senior earned a bronze medal at UIL State with a time of 11:41.23 in the 3,200-meter race. >>Brianna Robles, La Joya Palmview: In her senior year, Brianna Robles won the District 30-6A championship for the third year in a row, running a season best time of 18.22.6. She qualified for her third consecutive UIL state competition, where she earned 32nd place. Robles committed and signed in November to run at Adams State University in Colorado.